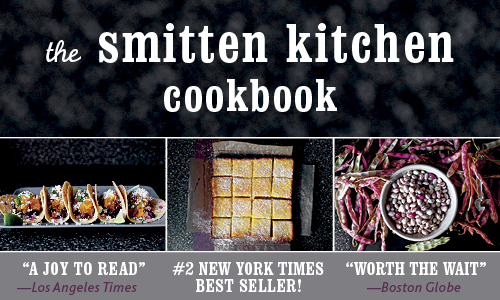 I picked up The Smitten Kitchen cookbook by Deb Perelman at the library this week, and we’ve never eaten so well in our lives because of it. After tonight’s pizza and leek fritters, my husband insists I buy the book, no matter the cost ($21.93 on Amazon, in case you’re curious). 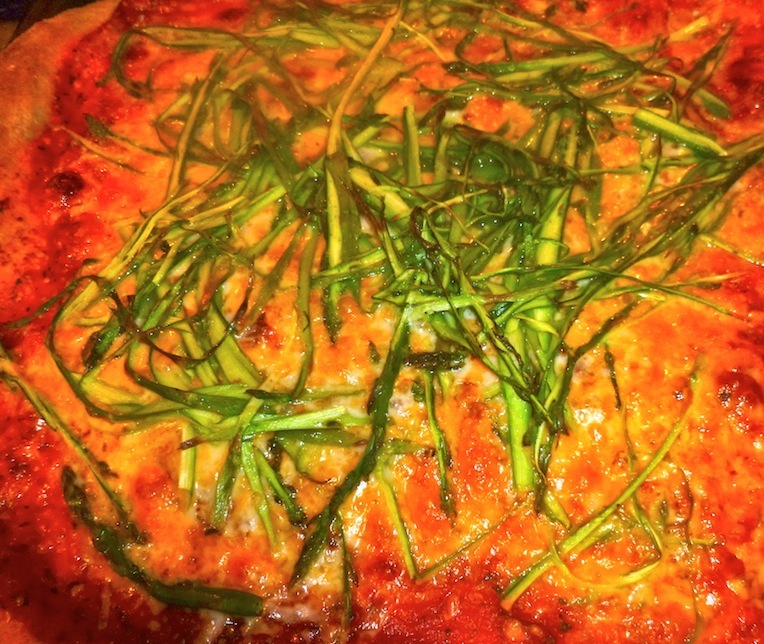 I didn’t make her exact shaved asparagus pizza because I like our whole wheat pizza dough recipe. And because step 3 in my 7 Steps to a Healthier Home for this week is to use more whole grains. I did use Deb’s cooking method (500 degrees for 12 minutes, instead of 350 degrees for 20), which exponentially improved the crust’s taste and texture. And as for the roasted shaved asparagus? Our eyes were rolling back in our heads. If you’ve never tried making your own pizza dough, this recipe is not much harder than taking a ready-made dough out of your freezer. And as for any little people in your house who might be afraid of shaved green strips, leave part of the pizza plain–more for you. I’m also a huge fan of the new Smitten Kitchen cookbook. Your pizza looks fantastic.